We are Customer oriented company and all our action and activities are directed towards offering full satisfaction. Accedited from Emirates Global Accreditation Center & Emirates Authority for Standardization & Metrology (ESMA). Implementing Halal standards, investigating the compliance and provide feedback to become compliant with Halal requirements. In general, Halal means in Arabic “permissible” or “lawful” for Muslims to do or to consume. What is not permissible for Muslims is called Haram. The global Halal market is estimated at US $2.70 trillion in the year 2015 with 67 percent of this market, amounting to US $1.9 trillion, consisting of food and beverages. It is an official document issued by a qualified and accredited independent third party member, who supervises the production of food and consumables, attesting that they were produced in conformity with the preparation and ingredient standards of the halal lifestyle. We conduct business with full transparency with our partners and their customers. We provide a service that you can trust so that your consumer can trust your products. We aim to satisfy the customer's need for peace of mind about food products, which ultimately will result in a thriving and prosperous business. The UAE is a very wealthy country, mainly due to its modest population base and huge oil resources. The large budget surpluses achieved have enabled the UAE to accumulate a sizeable current account balance, held mainly by the governments of the individual emirates and partly by other private establishments. Progress has been favorable in social and economic development. 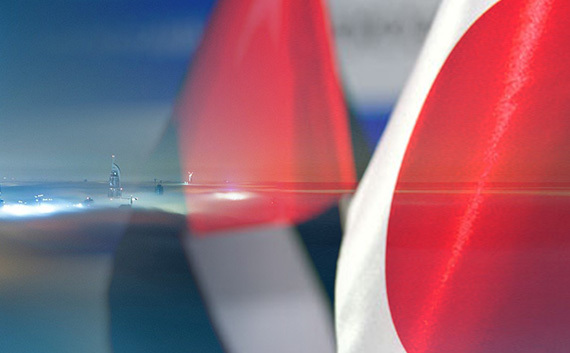 Today Japan and the UAE are mutually indispensable trade partners. In 2015, Japan was the largest crude oil importer from the UAE, which accounted for 26 per cent of Japan's total crude oil import. Non-oil imports from the UAE have increased by 42 per cent from 2013 to 2014. As for import from Japan, Japan has exported industrial products, such as vehicles and electrical machinery to the UAE, and was the fifth largest exporter to the UAE in 2014. In addition, the UAE today plays an essential hub function to connect Japan with the rest of the world, which has made the UAE more valuable for Japanese industry.